Services at 9:15 and 10:30am. Baby’s First Christmas at the 10:30am service. Pastor Jack’s message: “The Stories We Live–Called For… “ Music by the Chancel Choir and Agape Ringers. Services at 9:15 and 10:30am. Pastor Jack’s message: “The Stories We Live–Called Through…“ Christmas Cantata during 10:30 worship presented by the children and youth. Services at 9:15 and 10:30am Pastor Jack’s message: “The Stories We Live–Called In…” Worship Arts featuring Chancel Choir and Alleluia Dancers. Services at 9:15 and 10:30am. Pastor Jack’s message: “The Stories We Live–Called Within…” Music by the Chancel Choir and Good News Ringers. A service of remembrance and encouragement. Leave your pain, loss and discouragement at the altar in readiness to find peace this Advent season. An intergenerational, family-friendly “candlelight” Christmas service that is interactive and engaging for all ages. 8:00pm—Carols & Candlelight Service. Featuring the Jubilate Dancers and Chancel Choir. 11:00pm—Carols & Communion Service. Music by the Chancel Choir. This four-week study will explore the characters from The Nutcracker and apply them to our familiar Christmas narrative. Join us Thursdays in the Parlor. Contact Rev. Cora for childcare. What is Advent? How do I celebrate it? Every­one is invited to this afternoon of discovering what Advent is and how we can participate in it this year. Light lunch provided. Join us for this engaging online journey and share Advent images with your church family. Watch for more info to come. Help transform the church for Christmas and enjoy a light lunch when our labors are done. Sign up outside the church office or contact Jannette Deszell. Enjoy an evening of Christmas music with the critically acclaimed Jackson Chorale. Visit www.jacksonchorale.org for ticket information. Join us during worship as the children present “What Child Was This?” Featuring solos from the New Joy Singers Youth Ensemble and Carol & New Joy Choirs with flute, piano and percussion accompaniment. “Let Heaven and Nature Sing,” a free Christmas performance by the Tuesday Musicale Chorus and Adele Thomas Bell Choir. There will be an afterglow immediately following the concert. This youth-group sponsored event allows us to share Christmas cheer with our homebound members. Everyone is invited. Sign up outside the church office or contact Rev. Cora for more info. Bring friends and family to Rustic Leaf Brewing Co. for a holiday sing-along with the musicians of Central Church. Rustic Leaf does not serve food, so plan to bring a bite to eat or order from the food truck that will be on site. 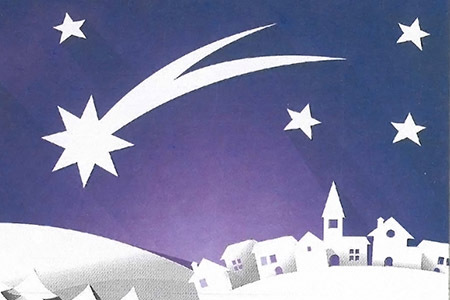 For all Advent happenings and mission opportunities, click to download the brochure.